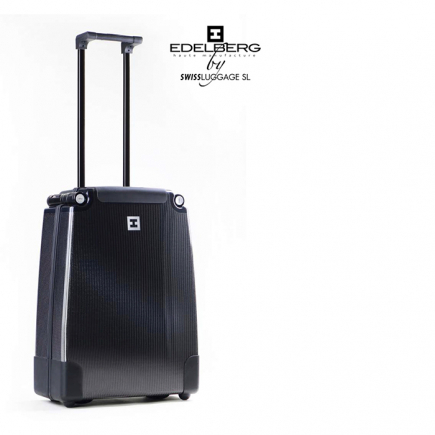 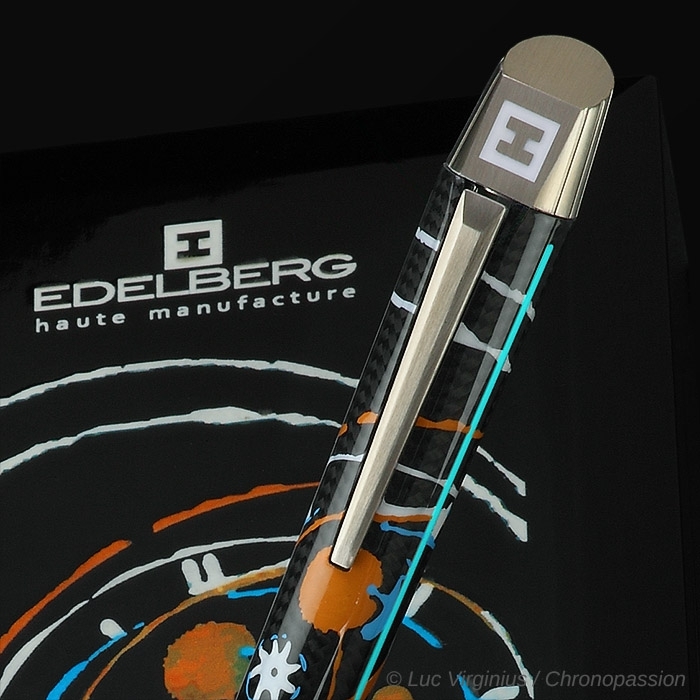 Edelberg | 1'950 € Tax inc.
Not merely an “hommage” design to time machines. 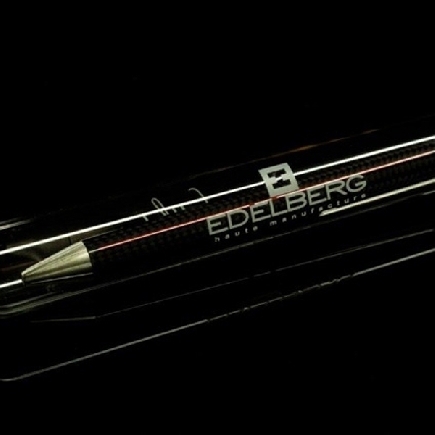 The materials Edelberg have selected are the same as those found in the manufacture of fine wrist watches. 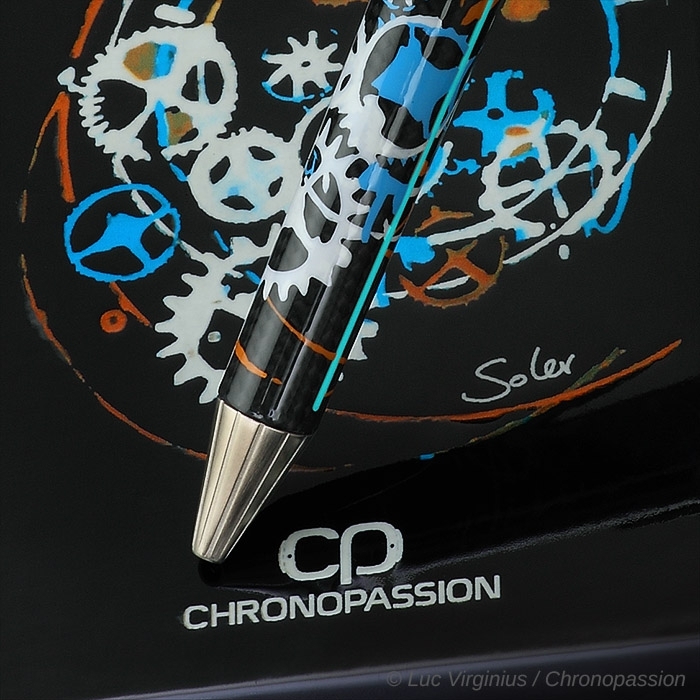 From the shining carbon fiber barrel, to the stainless steel clip and end pieces, to the Superluminova incorporated in its design. 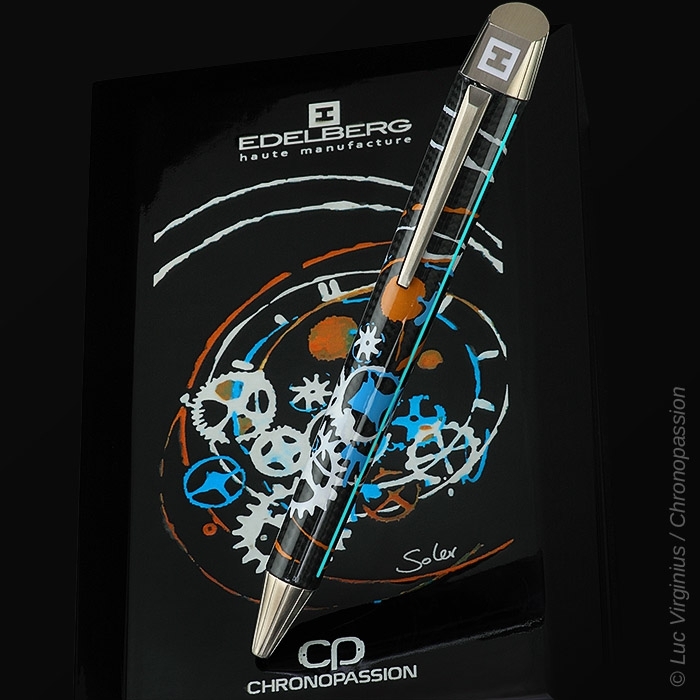 This is a living, breathing declaration of Laurent Picciotto’s passion, and Edelberg’s mastery of fine writing instruments. 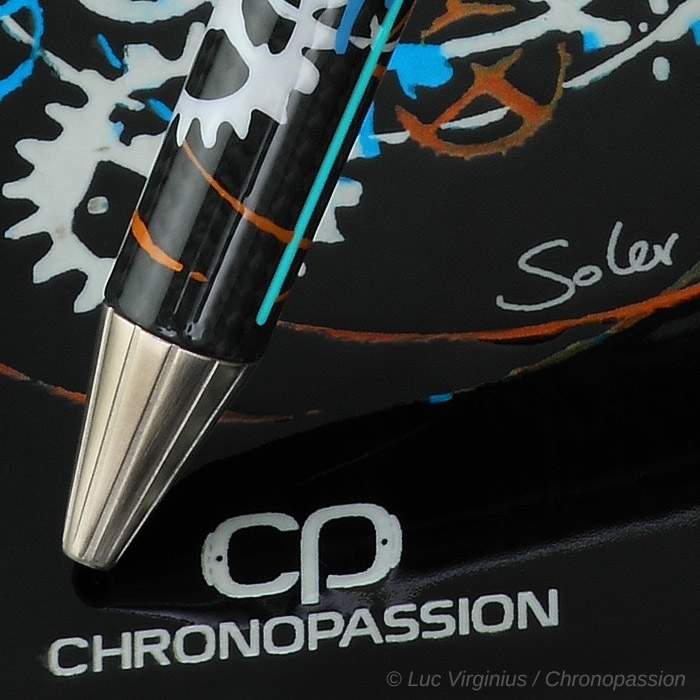 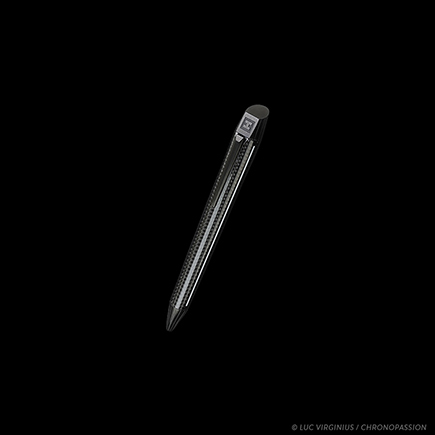 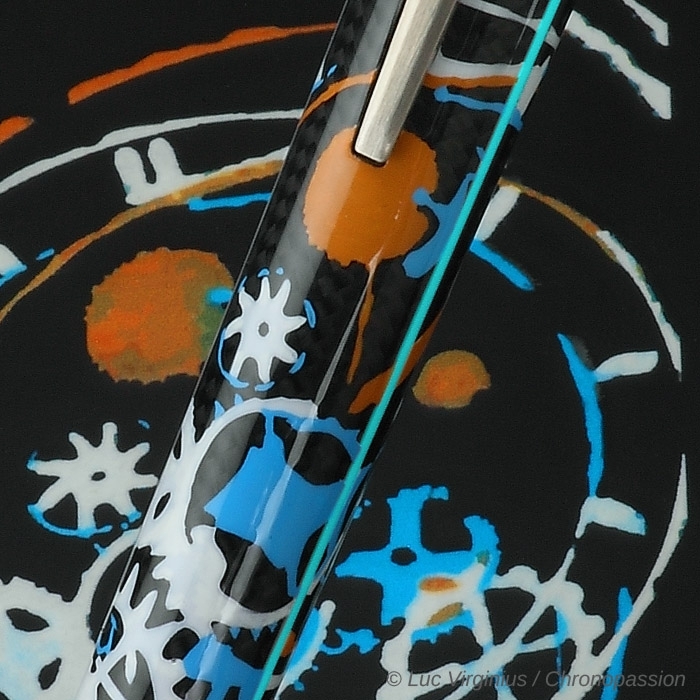 The pen’s carbon fiber barrel is the canvas for the original Alvaro Soler painting which adorns the Edelberg Sloop Chronopassion. 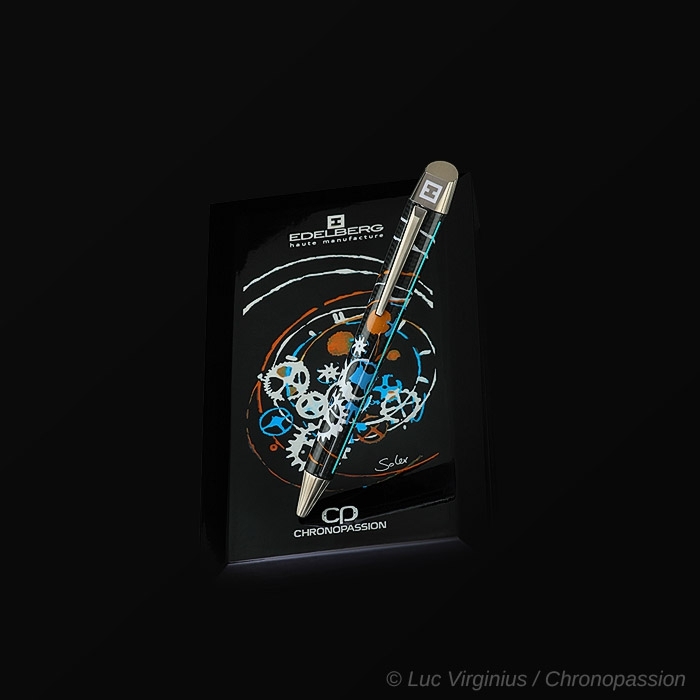 Only 88 lucky people will have the opportunity to share in this “artistic horologic” collaboration. 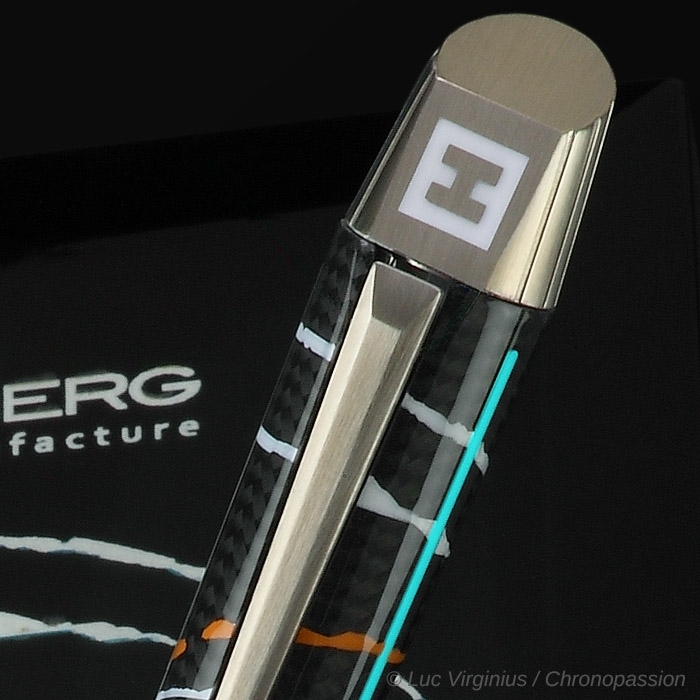 Each and every Edelberg Sloop Chronopassion is made by hand to the exacting standards of both Edelberg and Chronopassion, two names synonymous with uncompromising style. 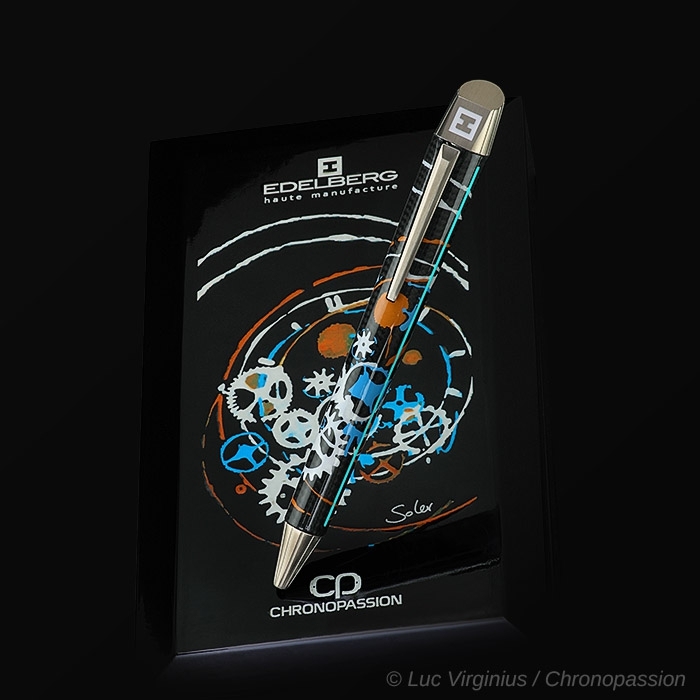 The Sloop Chronopassion will be delivered to its new owner in a specially designed Edelberg box complete with certificate of authenticity.